Over the last 19 months, in this series of reports, we've visited over 50 barbecue joints in Nashville and the surrounding counties. Over the course of that time, it's occurred to us that we've missed some that should have been included in one place or another. Some of these have opened (or reopened) since we started reporting, and some have been there all along, but have just been overlooked. We'll get half of them in this report, and half of them in the next one. We begin in West Nashville, in a neighborhood called "The Nations". 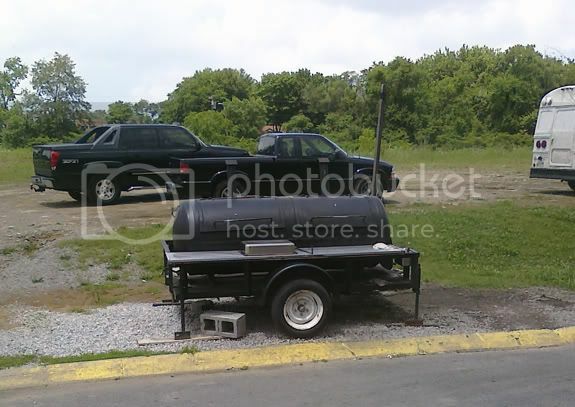 Boss Hogg's BBQ is on Morrow Road, across from West Park. This used to be the West Park Dairy Dip. They are cooking on an old smoker right in the parking lot. No ribs at Boss Hogg's, at least on the day I was there. But of course they have a pork sandwich. The meat was nice and tender, but didn't have much flavor - smoke or otherwise. It's a workman-like barbecue sandwich that would be aided by a squirt of barbecue sauce. Next we head to Antioch for two barbecue joints that I have heard good things about from local blogger Joltin' Django on his blog, A Man's Gotta Eat. Fat Boy's BBQ is on Murfreesboro Pike near the intersection of Bell Road. 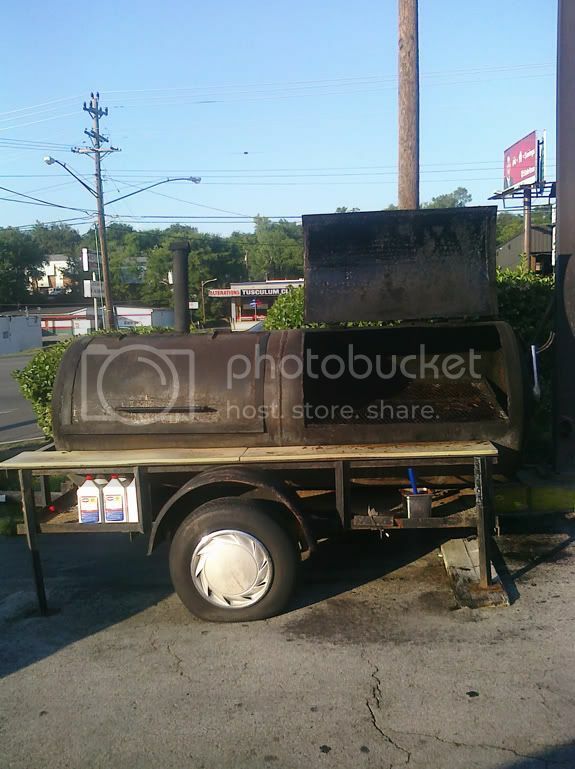 Like Boss Hogg's, Fat Boy's is cooking on a big offset smoker right out in front of the store. I like it. I ordered a pulled pork sandwich and a rib sandwich. The pulled pork has very good flavor. It's well-seasoned, with a hint of smoke. The meat was not as successful on tenderness. On this day, at least, the pulled pork was more than a little dry. The ribs were country-style ribs. I don't know if this was just because I ordered a rib sandwich, or if all of their ribs are country-style. But I have never seen this at barbecue restaurant before. Anyway, they were very tasty - super tender and juicy with a great bark, and a nice smoky flavor. Over in Hickory Hollow, Ron's BBQ & Fish is tucked away in a corner of the Kroger shopping center at the corner of Bell Road and Mt. View Road. They are cooking in a smoker out behind the shopping center (see photo at top). The friendly folks at Ron's had already sold out of pork shoulder by the time I got there, but they gave me a heaping to-go box full of pork ribs. These ribs were absolutely cooked to oblivion - impossible to even pick one up - but they were delicious nonetheless. They had wonderful simplicity of flavor - well seasoned pork and plenty of hickory smoke, no sauce. A tasty treat. Over in Brentwood, vagabond Texas 'cue proprietor Aubrey Bean has found a home on Church Street (this is Judge Bean's fourth location if you're scoring at home). You'll recall that we tried to visit the Greer Stadium location last Spring as part of our "Texas Barbecue" report, but had no luck. Anyway, Lannae said it last week, and it's true - Judge Bean's has finally found a proper home. This location delivers an atmosphere that matches the funky, feisty character of the food - the ceilings are low, the decorations are tacky, the country music is loud, and the help is good lookin'. Now what about the food? As we did with the other Texas-style barbecue joints in this area, I will judge on brisket and sausage. This brisket looked okay, with a nice smoke ring, and it tasted okay, with a nicely formed bark, but it was dry as could be. Maybe brisket was just having a bad day? The sausage I liked very much. 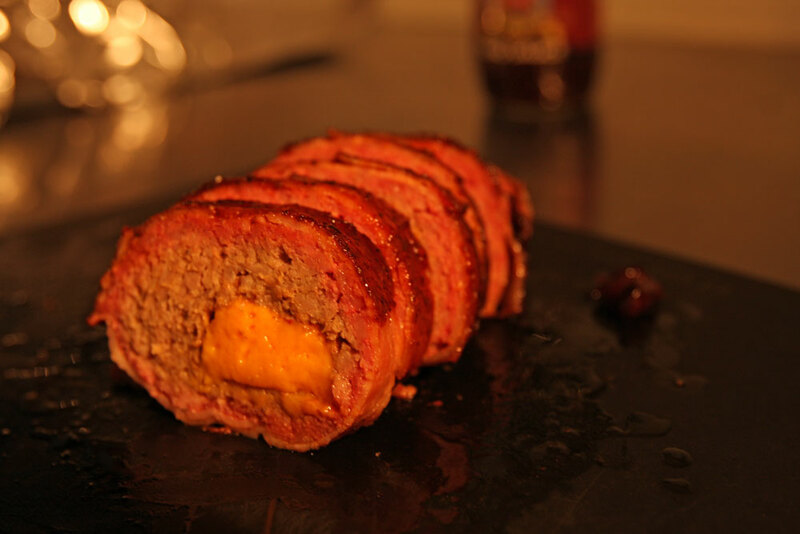 Again, let me stress that I am no expert on sausage, but I found this to be very juicy, and with a nice snap in the casing. It had a nice smoky, garlicky flavor. I know we're just judging meat here, but I can't talk about Judge Bean's without mentioning the brisket tacos. These have been a favorite of mine since Judge Bean's was on Wedgewood Avenue. Even if the brisket is a little dry, if you team it up with fresh guacamole and a little homemade salsa, and serve it on a grilled corn tortilla...that is good eatin'! The folks at Bacon & Caviar have opened a second location of their B&C Barbecue in Melrose. We reviewed their farmer's market location back in 2008, but wanted to see how things were going at this new location. Two years later, I still think B&C's pulled pork is great. It's cooked to a nice tenderness, it's seasoned perfectly, and it's got plenty of tasty bark pieces. The baby back ribs (only offered on weekends) were not as successful. They lacked any real smoke flavor, and the sauce/rub had an odd overly peppery flavor. Also, they could have been cooked a few more degrees, as they were still kind of tough. One other note about B&C is that their side dishes are still head and shoulders above what you'll find at most barbecue places. I know the meat is what counts, but I'm just sayin'. Now this is a benefit that I can really get behind. 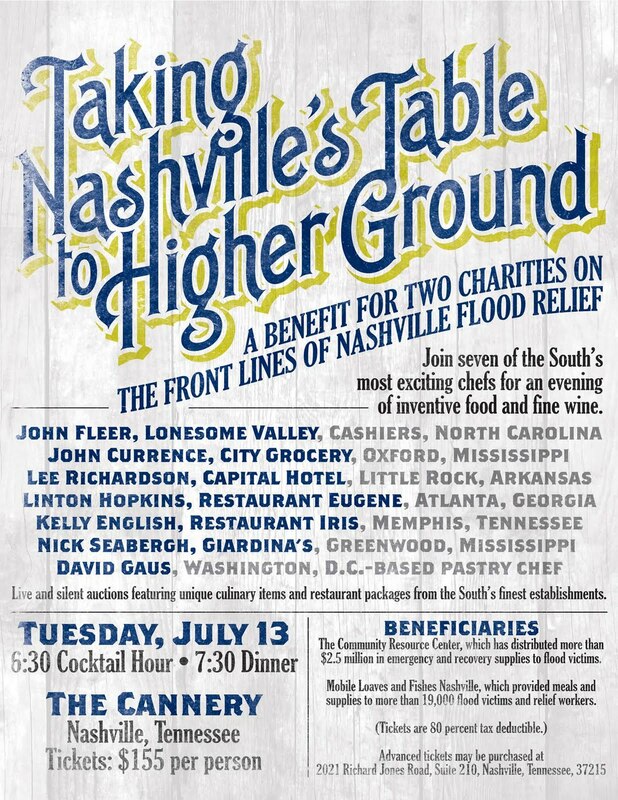 Several Southern chefs are bringing their talents to the Cannery Row Ballroom on July 13th to raise money for the Mobile Loaves and Fishes, Inc. and The Community Resource Center. Unfortunately, I will be out of town, but this looks like an event that should not be missed. 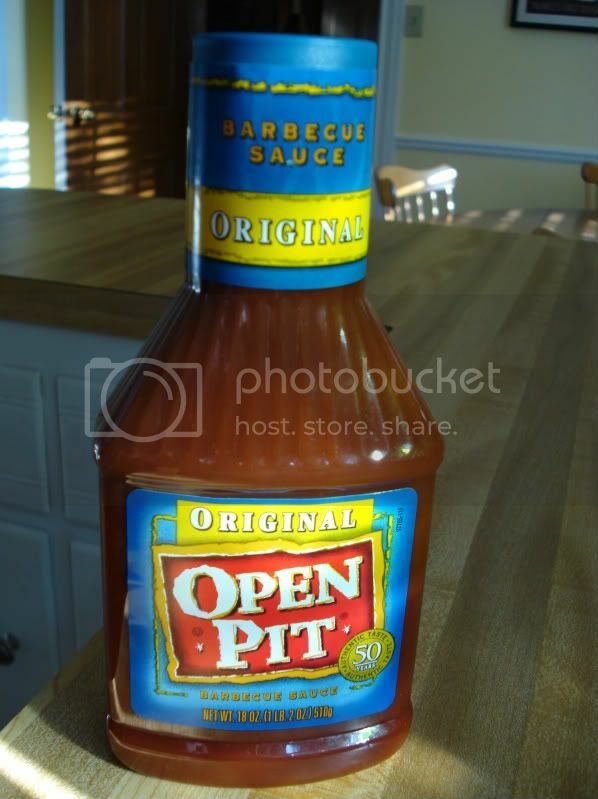 I had never heard of Open Pit until I saw it at my local Publix. 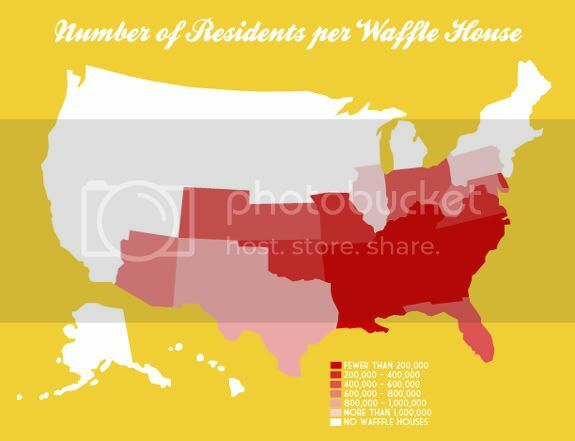 But after poking around a little bit online, I learned that apparently it's mostly found in the Midwest, specifically cities like Detroit, Chicago, Milwaukee, Indianapolis, and Pittsburgh. And it's no new kid on the block - it was introduced in 1953. One other interesting thing is that the website repeatedly encourages users to add their own ingredients to the sauce, even mentioning that using the sauce "right out of the bottle" is the exception. I have not ever seen this kind of thing emphasized before. 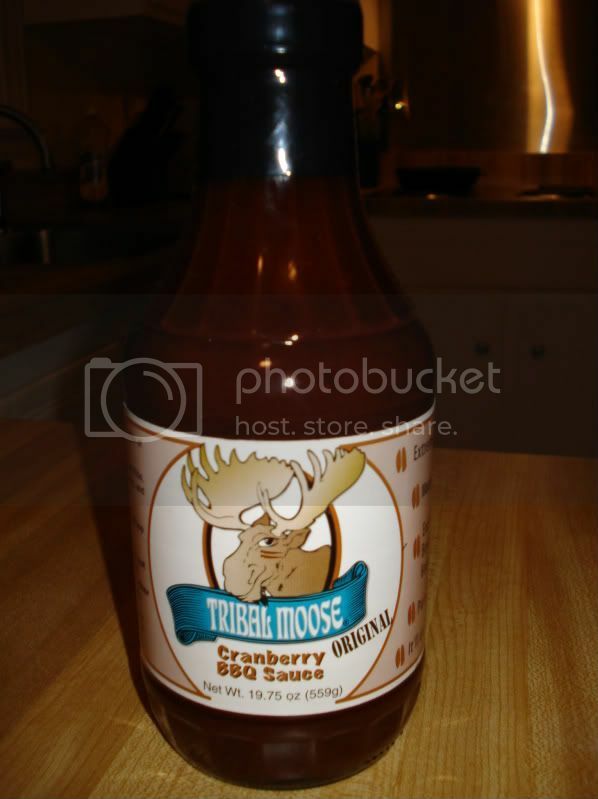 As for the sauce itself, it is a brighter color red than most commercially available barbecue sauces. It's fairly thin, pouring readily, and has a completely smooth texture. The aroma of the sauce is interesting. Of course there is a tanginess, but there are also notes of cinnamon. Upon tasting, the first reaction is that this tastes like very tangy ketchup. The tomato flavor is bold and bright, and the vinegar is tangy. At first, you sense that the sauce is sweet, but the sweetness soon fades, leaving a stronger impression of tanginess. Then come the more interesting flavors, a rich savoriness, plus notes of onion, garlic, and once again the faint flavor of cinnamon. Finally, a hearty heat sets in, providing a bit of mild burn. If nothing else, this sauce is different than any other you'll encounter in the supermarket aisle. I rather enjoyed it. CUT/CHOP/COOK from UM Media Documentary Projects on Vimeo. This is a strong early frontrunner for best barbecue-related news story of the year. In Clarksville this morning, police responded to a 911 call reporting a suspicious package in a parking lot just off of the city square. A threatening message was scrawled on the side of it: "Anyone who touches this will lose their hands." Police assumed the worst and used the bomb squad robot to open the package. Imagine their surprise when it turned out to be...a "messy box of ribs." You can't make this stuff up. As I continue heading north on Nolensville Road, I begin to have other food options. Right past Mexico Lindo sits a Chinese Super Buffet (you know the ones with the glowing chicken). If you can resist that temptation, you are then faced with the challenge of passing up the best restaurant in town. I tell my self I need to stay focused, and I begin to look to the east and west for my next taqueria. 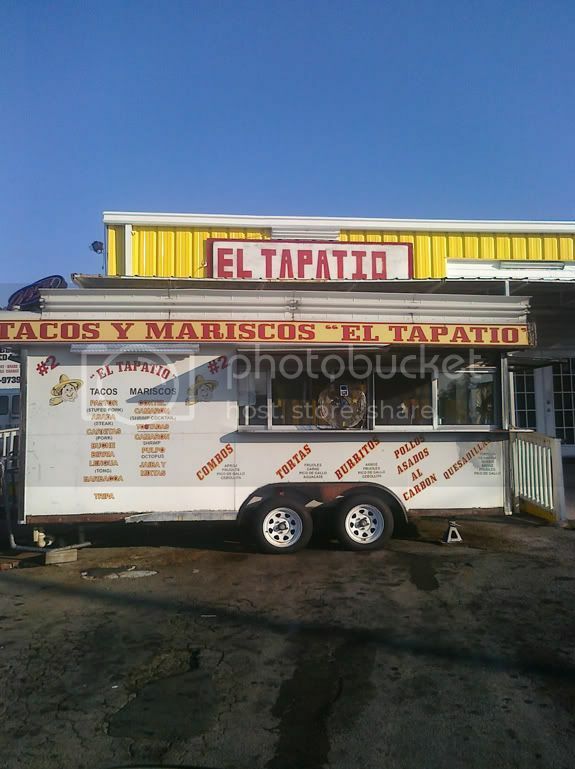 I thank my lucky stars that no one has taken up shop in the parking lot of the 21+ Video, but a little further north I found Taqueria Sarita in the parking lot of the Phillips 66. Sarita is most likely someone's name, but I failed to ask the woman working the taqueria if she was Sarita. So one can only assume. This taqueria is an old delivery truck that has been converted into a concession type rig by what appears to be the work of the A-Team. 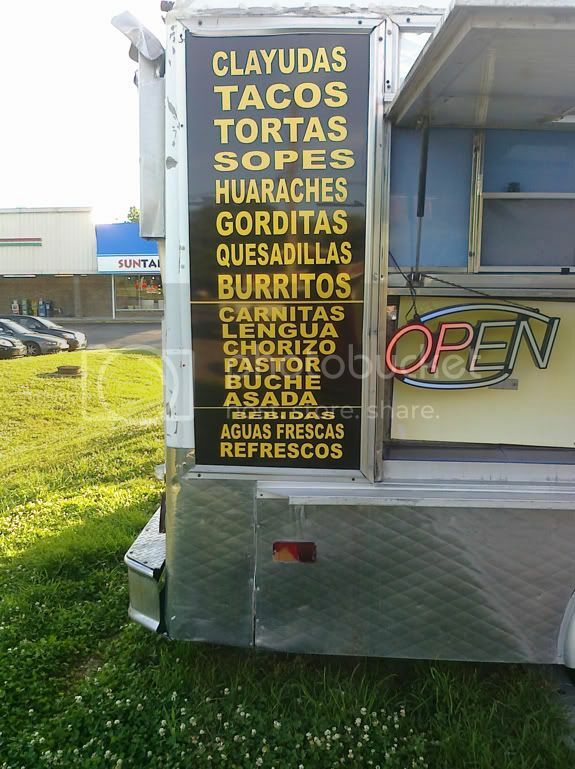 When you pull up a menu is prominently displayed with several different classic Mexican snack dishes. Some of the choices include clayudas which is similar to a Mexican style pizza, an oblong masa dish known as huaraches, and a few of the classics like a burrito or a quesadilla. Of course what drew me in was the 99¢ tacos sign. This weeks order was uno pastor, uno chorizo, and uno carnitas. These tacos were topped with a finer dice onion and a lighter amount of cilantro. A lime and a spicy thin green avocado sauce also accompanied the overflowing tacos on the plate. One thing that was very noticeable when I was waiting on my order was the smell of the meat warming on the griddle. The smells were very appetizing and they had me really looking forward to chowing down on some tacos. The sign visible from the road reads 99¢ tacos, but I saw a smaller sign when I pulled up that said asada & pollo tacos 99¢. The other tacos are $1.50. So my three tacos were $4. While the $1.50 is more than some of the competition, I would definitely say that you get your money's worth with the extra meat that is piled on your tacos. Overall I would say that Taqueria Sarita is a great taco truck. While they may not speak much English, they sure do know how to make some tacos. So if your friends insist on going to Bar-B-Cutie, try to steer them up the road to Taqueria Sarita. This Tuesday we head just slightly past the Tusculum Lanes bowling ally to the parking lot of a small convenience store. This is where we find the small taqueria Mexico Lindo. As with most of the taquerias, their version of a car hop makes her way to your vehicle as you pull in. However, I like to get out of the car and look at the menu while taking in the sights and sounds of the taqueria. The menu here is in both English and Spanish making it easy to order. Since we are ordering just tacos it is pretty easy anyway, but it makes it easier to get more adventurous and learn a little Spanish at the same time. Here I ordered three tacos. Uno al pastor, uno barbocoa, uno asada. They came simply garnished with a lime and their version of a creamy guacamole sauce (not pictured). My three tacos were $3 total and a $1 tip for the car hop. I did not experience any issues with cleanliness and the TN Health Dept. gave them a 90. Overall I have had better experiences at Mexico Lindo in the past, and if you ever need a quick snack before you start throwing rocks, the al pastor tacos are a good bet. 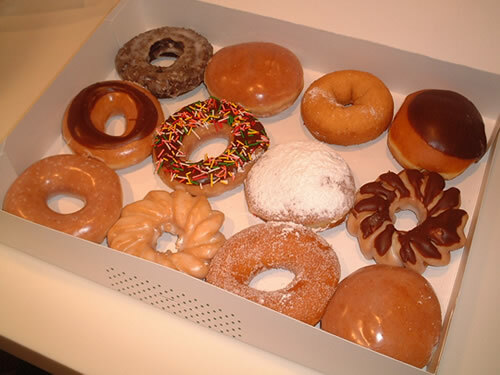 Today is National Doughnut Day. Dunkin Donuts is offering a free doughnut with a purchase of a beverage. Krispy Kreme is giving away free donuts with no purchase necessary. Check out some of these articles from around the web regarding the oil spill in the Gulf. 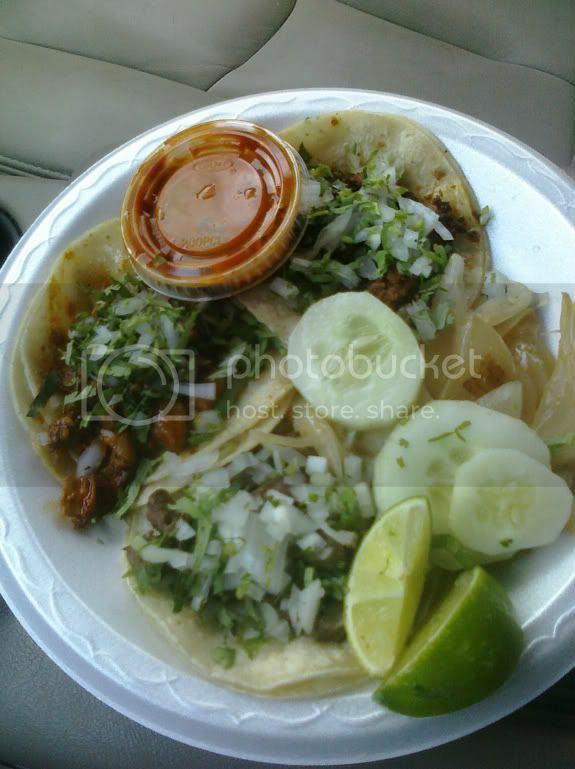 This is the first installment of Tuesday Taqueria on the Ulika Food Blog. I had this idea sometime last year to review and map the all of taquerias along Nolensville Road in Nashville. 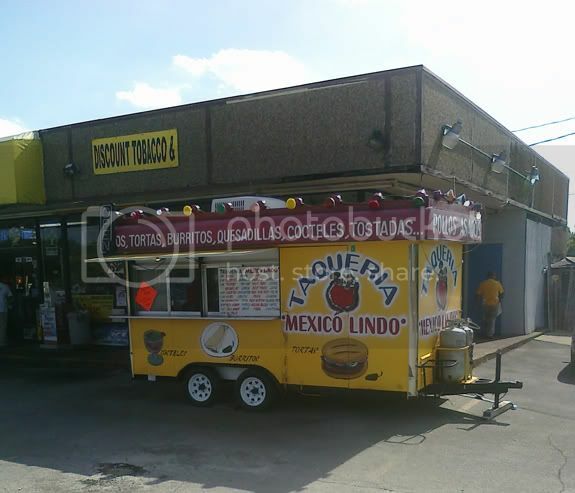 If you have ever driven down Nolensville Road, you have undoubtedly seen the taco stands that dot the landscape. With so many choices it can be difficult to know where to get the best taco. That's where Tuesday Taqueria comes in. Starting at the intersection of OHB and Nolensville, I will trek North in search of the greatest Taqueria the south side has to offer. For the purpose of these reviews we will only be focusing on the tacos. Most of these places offer a full menu, but we are just concerned with what they all have in common and that is tacos. Taste - Isn't that what it is all about? I generally get three tacos and I will rank the taste of all three on a scale of 1-5. With 5 being the highest possible score. Price - Who has the best deal? Are those tacos really just .99¢? Friendliness - Let's face it, I am the minority here and I no speaka the Spanish. So if I have a negative experience I will be sure to let you know. 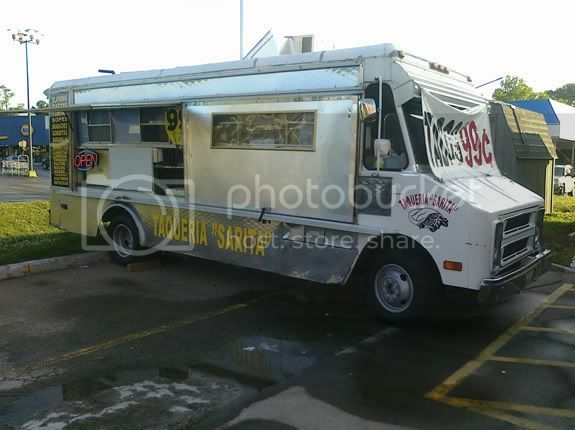 Cleanliness - When it comes to mobile food carts, I realize that some people have a concern about the cleanliness. So I will let you know which ones have a perfect health score and those that could use some work. Keep in mind that there is competition all up and down the road, so if a business is not putting out a good product, they wont be in business long. As I start my journey North along Nolensville Road, it doesn't take long to come to the first taqueria. Tacos Y Mariscos Lopez no. 1 is located right past the Lowe's and Auto Latino on the east side of the road. This establishment actually has a free standing building that looks very much like a converted house with a not-so-mobile vending unit that sits out front. 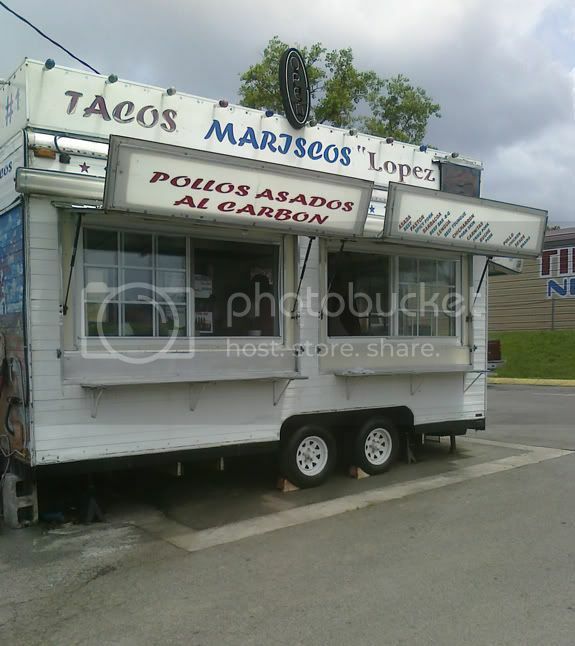 As you may have gathered from the name, there is more than one Tacos Y Mariscos Lopez in town. I was able to determine that there are at least six locations making this a little local chain. While for the purposes of these reviews I am just eating tacos, it is pretty clear that I need to go explore the menu at Tacos Y Mariscos Lopez. While I was there they were pulling off very nicely grilled whole chickens and other online reviews speak highly of things other than the tacos. 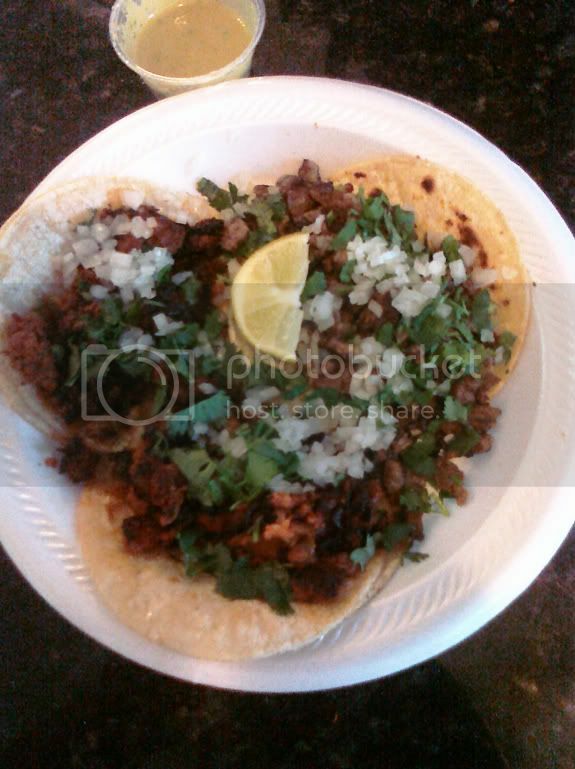 On this trip, I ordered uno asada (beef), uno chorizo (Spanish sausage), and uno al pastor (marinated pork) taco. I always order my tacos with everything. This almost always constitutes raw onions and cilantro, and then other garnishes vary from place to place. In this case I received some grilled onions, cucumber, lime and a red hot sauce. 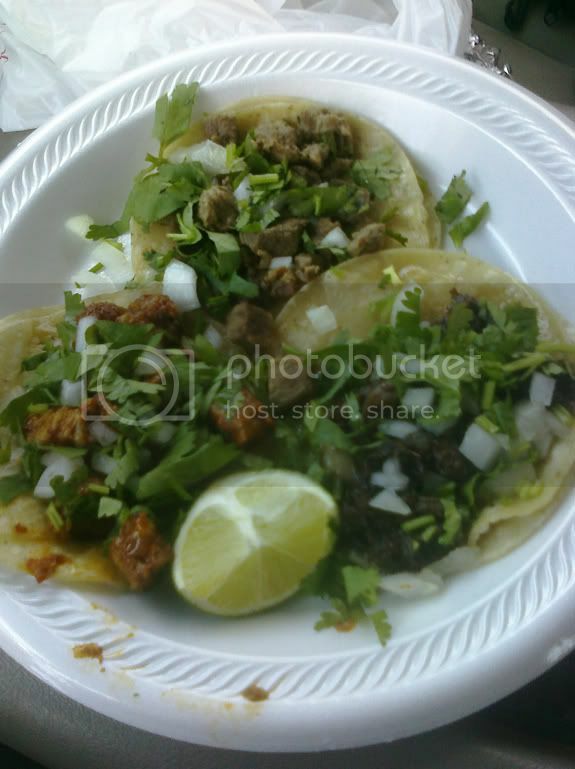 As you can see from the picture on the top, the tacos were on special this week for .99¢. The menu price is $1.25 and they do charge tax. I also generally tip $1 to the car hop / waitress. My total with tip was $4.30. So in reality, the tacos are $1 plus sales tax. One thing that stood out was that the pit that the meat was coming off of seemed very clean. I also had a direct view inside of the trailer and everything seemed in tip top shape. The Tennessee Health Inspection score: 98 and I give it a 5/5. 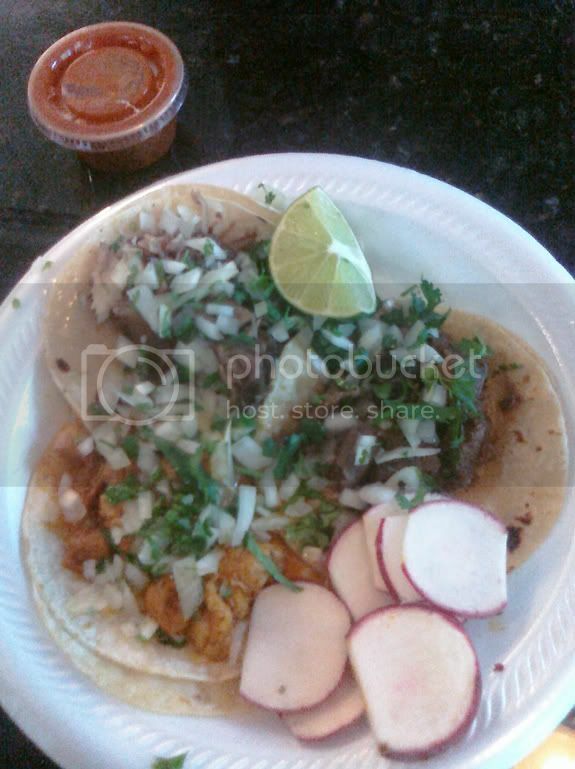 Overall I would recommend the tacos at Tacos Y Mariscos Lopez no. 1 and I really look forward to getting back there to try one of those whole chickens.